You are at:Home»Business Concepts»How to alienate your biggest fans: What happened to MakerBot? If you follow any other order of importance then you are destined to fail along the way and be supplanted as the leader by someone else. So with the mission statement now over, I will proceed verily to my rant. MakerBot started out as a company built by a few guys around creating a controller board to run a 3D printer in the wild, west days of personal 3D printing. This project was open sourced in that anyone could get the schematics and improve upon the design/code/idea/whatever. The feel of the company and the products was VERY “What ya doing? Can we help?” As are most open source projects and in this rich environment MakerBot stared to grow, fast. 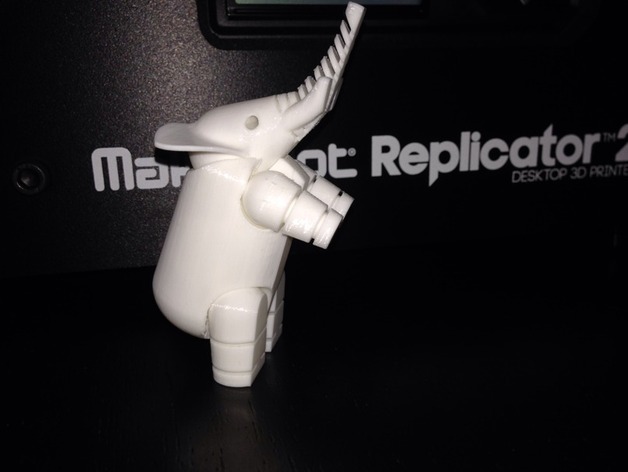 The idea of MakerBot was that they wanted to bring 3D Printing to the masses. “A printer in every home” much like Ford with his Model A. The idea was to bring this lofty dream of 3D printing to everyone. This goal was lofty to be sure, but with an easy-going, “how can we help” attitude people are willing to believe and follow along and dream with you. With success comes change. MakerBot grew and grew and launched several versions of their flagship Replicator printer. This printer was at first open sourced as well and later the hardware became proprietary and the software remained open-ish via a firmware update (Sailfish). Then the storm hit. 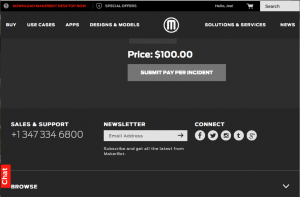 MakerBot under the control of Bre Pettis sold to rapid prototyping conglomerate Stratasys. This in and of its self was not a bad thing, as it meant that instead of defending the small company from endless, debilitating patent infringement attacks from Stratasys they were now able to use Stratasys patents freely and in theory build even better products. However, the dirty side of the coin was that Stratasys and MakerBot are both 3D printing tehnology companies and that is where the similarities end. Stratasys is a huge corporation that sells equipment costing between $10,000 USD to well over $1,000,000 USD to corporations requiring rapid prototyping. All of these systems are sold to companies as a managed service with very high, and in many cases mandatory service contracts that are billed annually. And therein lies the rub. This relationship between MakerBot customers and MakerBot has historically been a pretty casual one up until the latest corporate pus down from the mothership, the $100.00 Question. 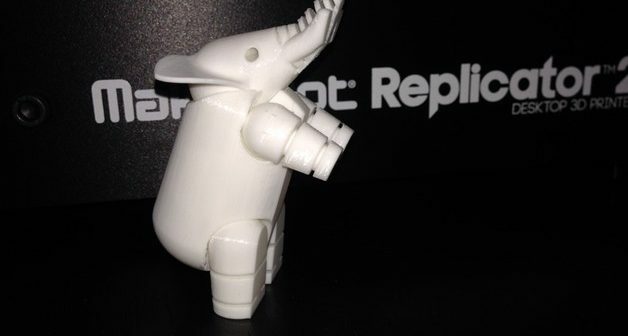 As Stratasys struggles to find out how to make the MakerBot acquisition stop diluting their considerable margins, they have instituted what most consumers would call ridiculous. While this may be acceptable in the corporate world where service contracts are ubiquitous this is unheard of for a consumer. MakerBot may make occasional exceptions however they are just that, an exception. The rule stands. They take Visa, MasterCard, American Express, and even Discover! You get the idea. If you opened a ticket for the above questions you could have bought a brand new PrintrBot for the same cash! At this point even Comcast, the company ranked as having the worst customer service in the United States for several years running now actually has better service than MakerBot for customers with printers over 60 days old in that they still have customer service! In closing I will say that to be fair 3D printing is a new category and most companies that are bringing it to the consumer are very much figuring it out. However, before you buy a printer from someone you should fully understand just how alone you will be standing atop the rather steep learning curve cliff. Then they basically rob you of your $100 and do nothing to solve your actual problem. I spent the last 5 months going back and forth with them, which usually consisted of them taking 1-2 weeks to respond. They admitted that the issue was caused by a mobo problem, but since I didn’t have a makerbot approved extrusion tip they closed my case and said I should go away. I would have been better off just spending the $150 on a new mobo from ebay. This MBR2 will be replaced and it won’t be with another MB product.